Requiem For the Dead……….. Trees?? Who was that loon that said Trees have rights too? State Senator Alan Olsen (R) on HB2787, Privacy for CHL Holders. Click here to listen!!!! 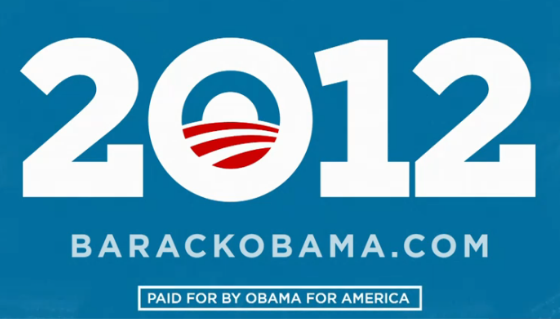 Obama Launches Re-Election Campaign. To Campaign on Prosperity, Jobs, Peace. OK, I was just kidding about jobs, prosperity and peace being his main talking points. Obviously those dogs won’t hunt–unless you ask Paul Krugman. But he does have his “Obama-for-America-turned-Organizing-for-America-turned-Obama-for-America” group re-re-re-branded and ready to go. There goes my email count again. Sigh. 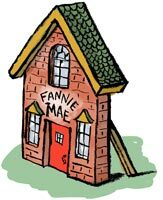 The Administration’s long anticipated White Paper on the reform of Fannie Mae and Freddie Mac was released recently (see it here). It post dates the current Presidents taking office by nearly two years, $160 Billion in taxpayer support for the two entities and the renowned Wall Street Reform and Consumer Protection Act. Meanwhile, Fannie Mae, Freddie Mac, and the FHA now account for over 90% of housing mortgage market. Underscoring this uncertainty, the Mortgage Bankers Association forecasts that only $1 Trillion in residential mortgages will be originated this year down from nearly $2.4 Trillion in 2007 (here). Several changes will characterize the future financing markets and institutions based on the Congressional hearings to date and the long awaited Administration proposal. Structural changes in the industry will include the privatization of Fannie and Freddie and/or the formation of new mortgage intermediaries replacing the former GSE’s, the winding down of Freddie and Fannie ‘s existing mortgage portfolios, reduction of their securitized mortgage guarantees, and the limitation or elimination of the Federal Government’s future role in housing capital markets. Private capital in the markets will not only increase through greater involvement of private firms, but also through increased equity participation by borrowers through greater down payments, increasing involvement of private mortgage insurance and risk retention by the original mortgage broker, banker or lender. The pricing of government guarantees where applicable will increase dramatically. These steps are being taken since Washington DC has finally acknowledged that as the WSJ writes, “Starting with the savings and loans crisis in the late 1980s, and continuing through Fannie and Freddie and the Federal Housing Administration (FHA), taxpayers have been or will be called upon to pony up more than $500 billion to pay for losses that the government has suffered in an unsuccessful effort to help people buy homes. The reason is simple: The government never receives adequate compensation for the risks it assumes.”(here). The Administration has proposed three alternatives (here) with the government’s role ranging from providing limited guarantees through the FHA, VA and Farm mortgages to a governments role as a lender of last resort during time of crisis and guarantor of securitized mortgages. The guarantees under this later scenario are more limited and costly than those of today, with private insurers being the primary insurer and government being the insurer of last resort. Option 1 Privatized system of housing finance with government guarantees limited to FHA, VA and USDA loans. Option 2 Privatized system with government guarantees limited to FHA, VA and USDA loans and government intervention only during economic crises. Option 3 Privatized system with government guarantees of FHA, VA , USDA loans, government crisis intervention, and subordinate federal guarantees of mortgage securities behind primary private insurers. Private insurers would be subject to “stringent” capital and regulatory oversight under proposal three. While the Administration’s White Paper begins the process, a process which will hopefully re-inject private risk capital into the mortgage markets, its release has done little to resolve uncertainty nor the fate of some $5 Trillion in mortgages originated and guaranteed by Fannie and Freddie. It also does little to clarify the time frame over which the reform will occur although reliable estimates suggest a minimum of 5 – 10 years. Despite the Administration’s admission on CNBC that Fannie Mae and Freddie Mac are “dead,” it took the Administration over two years to figure this out. And why didn’t they propose this reform in the Dodd Frank Reform Bill? The Administration’s proposal basically gives lip service to replacing the former GSE’s with private firms and limiting governments role to lower income housing, but basically punts the decision to Congress. Yet again this indecisiveness allows the President to take credit, chime in later, criticize, while avoiding any blame just as he did during the legislative process involving Health Care and Financial Reform legislation! Among the folks presenting that evening at Pioneer Courthouse Square is this man. He’ll be on the program this week. She can’t possibly be serious, can she? Her webpage, SharetheAir108.com says Launching Soon. Even though I did not vote for him, the majority in the 49th legislative district did, as well as donated funds to return him to Olympia just months ago and supported his reelection. And now, he abruptly quits and walks away and receives a pass for it. Even the Clark County Democrat Party webpage initially made no mention of his resignation, but jumped ahead to an announcement of selecting a replacement for him. In an all too obvious double standard, beginning with the Columbian and added to by every single newspaper and media source up & down the I-5 corridor, a Democrat rumored to be embroiled in scandalous activity receives a pass and whose “right to privacy” must be maintained. Republican elected officials, not so lucky. 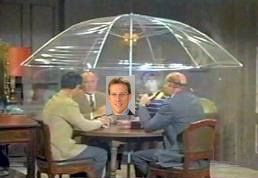 All it takes a slight rumor and the digging begins until their rotation is sullied, rightfully or not. The Columbian claims to an “un-biased news Source,” but obviously they have become a source of protecting members of the Democrat Party first. The public has a right to know why the person they just elected bailed on them. Who will break the silence and speak truthfully? Apparently, no one in the media. If Jacks were a Republican, it would be entirely different.